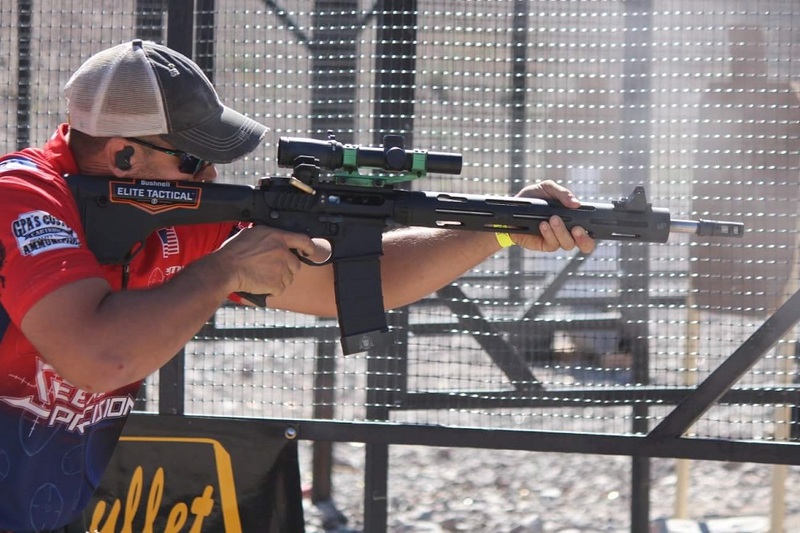 OVERLAND PARK, Kansas - June 25, 2018 - Bushnell sponsored shooter Jeremy Reid took home top honors in the Limited Division of the 2018 Safariland Expedition Multigun Match in Boulder City, Nevada. A competitive shooter from Houston, Texas, Reid is a Pro level shooter in the United Multigun League. He competes in the Heavy, Tac and Limited divisions. 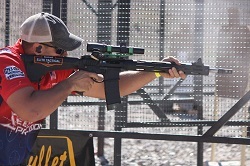 Reid joined 200 other UML shooters who braved 100-plus-degree temperatures to compete in the ultra fast-paced, shooter’s-choice Expedition Multigun Competition, which included Limited, Tac, Heavy, Open, PCC, 2-Gun, and 2X4 (Rifle, Pistol, Shotgun and PCC) divisions. Reid captured the Limited title and also finished fourth in the Tac division. The AR Optics Enrage red dot offers Bushnell’s longest-lasting battery life. It features eight brightness settings and a crisp 2-MOA dot for fast, precise target acquisition. It comes with an optional high-rise mount and features multi-coated optics to ensure a bright, crisp view. Bushnell, a Vista Outdoor brand, is one of the most recognizable and trusted names in precision hunting, tactical and recreational optics and accessories. For more information, visit www.bushnell.com.